If you have VA eligibility and you need a home loan…we can help. We Are The Most Trusted VA Home Loan Lender. VA loans were created by the VA for Veterans, active military service members, Reservists, and National Guard Personnel to supply residential financing with no down payment. The VA loan program is guaranteed by the United States Department of Veterans Affairs. 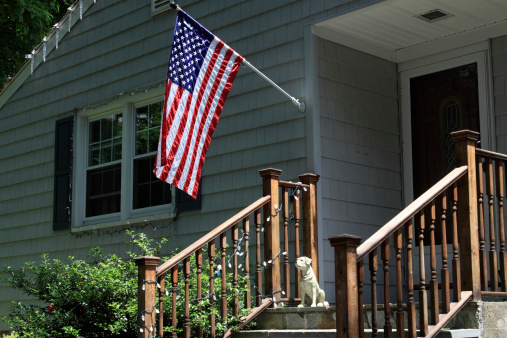 VA loans allow for home purchases with no down payment. VA loans allows for Cashout refinancing up to 100% of your home’s value. This allows Veteran’s the ability to consolidate higher interest rate Installment and Revolving debt into lower interest rate mortgage financing. Unlike Conventional and FHA loans, VA loans do not require monthly mortgage insurance. VA Loans require a funding fee, paid to the VA, and can be financed into the loan. Veterans with a minimum of 10% VA disability compensation are exempt from the VA Funding Fee. VA Interest offers competitive interest rates, even for borrowers with blemished credit profiles. Veterans are allowed to us their VA loan benefit multiple times. So if you’ve had a VA loan in the past, you’re likely eligible to use the VA loan program again. VA loan borrowers typically pay a one-time VA funding fee that can be financed into the loan amount. This loan is available for primary residences only. Ideal Home Lending can help answer all of your questions regarding a VA loan and whether it’s the best option for you. Call us today at 877-752-9177 to set an appointment. We are a full-service mortgage lender with experienced staff offering expertise in every area of mortgage lending from purchase to refinance to construction lending. Our staff is dedicated to finding you the best loan product at the best rate and helping you navigate the ever-changing mortgage industry!